The Itty-Bitty Eights 6" square is a ruler designed by Lisa Bongean of Primitive Gatherings. 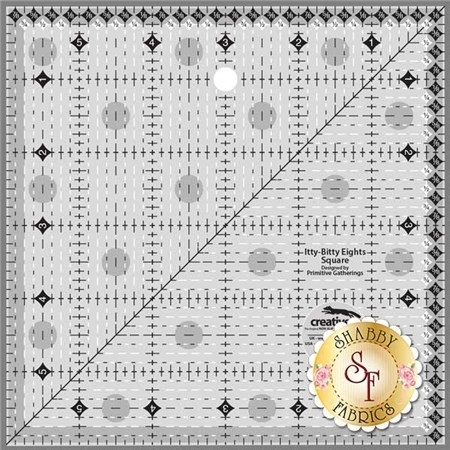 The black and white dashed eighth inch markings show on both dark and light fabrics! The diagonal line in the middle makes squaring up half-square triangles in 1/8" increments easy! This ruler also features gripper dots and gripper edges to help hold the ruler in place while cutting.